Meridian Energy is the largest electricity generator in New Zealand. 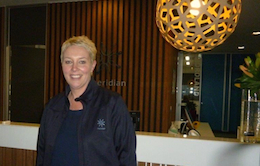 Headquartered in Wellington, the Meridian Group employs approximately 800 full-time equivalent employees. Year-on-year, Meridian has sought to improve its safety systems, processes and procedures to ensure everyone who works for the organisation can do their job as safely as possible. This has culminated in the Safety Matters project which prepared Meridian for the changes to Health & Safety legislation that came into force on 4 April 2016. Original generation time 4.3351 seconds. Cache Loaded in: 0.0407 seconds.